Good: Cool story and fun end-game content, great new weapons, and awesome new game mode! 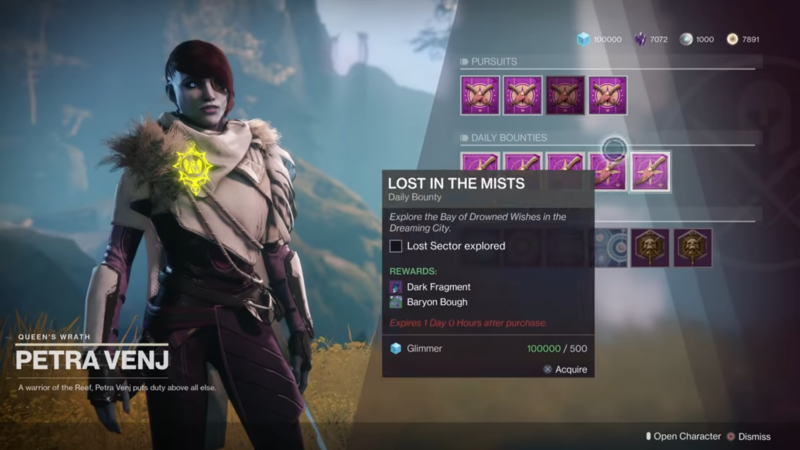 Bad: Increasing your power takes a while, and RNG can be annoying..
Forsaken is the newest and greatest expansion of Bungie’s First-person shooter MMO Destiny 2. This expansion brings a wealth of new content to enjoy for every type of player: a new story campaign with a lot of interesting lore, the compound bow as a new weapon, new specializations for each subclass, a new game mode combining PvE and PvP, new destinations and a new type of enemy: the undead Scorn! Destiny 2 is developed by Bungie and published by Activision. 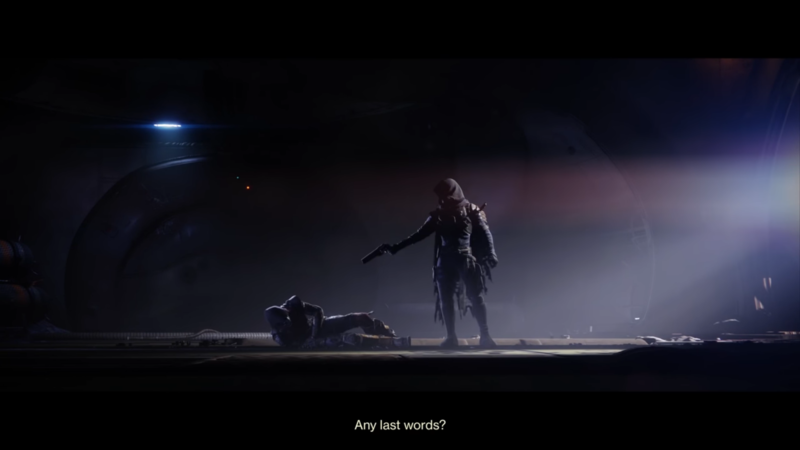 The story of the Forsaken expansion’s campaign starts with a shocking moment: the death of Cayde-6, a fan-favorite character. In the first quest you’ll play through, you’ll learn which events have led to this crucial moment. At the end you’ll find him dying, being killed by criminals led by Uldren Sov, and your character swears revenge in the presence of the rest of vanguard. Pursuing Uldren will bring you to the Tangled Reef, a bunch of asteroids tied together, and a hideout for a whole lot of lawless figures. At this place you’ll meet ‘The Spider’, once a leader of the criminals living at the Reef, but now he’s dethroned. 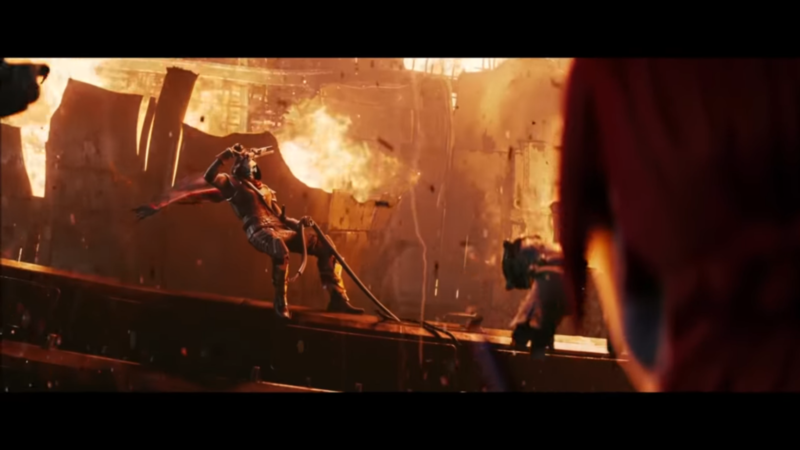 Of course it’s in his personal interest to help the player take down Uldren and his eight Barons, and this is made clear throughout the gameplay, giving character to the shady quest-giver. The storytelling of this expansion is quite stretched out, because the Spider requires of you to first fulfill some bounties to become trusted, and later to take out every baron before you can continue with the story. However, the Barons all have a fun unique personality and fighting style, and are quite a challenge to fight against. The fact that you can choose the order of taking them down yourself, feels like you have more control over what you do, instead of just following a storyline quest after quest, although it does take quite long before you get to Uldren. After taking down Uldren, the story goes in a whole different direction, on a much more epic scale. Uldren seems to be more of a victim, instead of being the big evil boss. The lore grows way beyond a simple tale of revenge, and gets really interesting, culminating in the raid ‘The Last Wish’, and beyond. The graphics are amazing, as can be expected from Destiny. Beautiful colors, dramatic use of lighting, and awesome, imaginative environments. The first thing players will see is an intergalactic prison, which is humongous in scale. After that, players are off to The Tangled Shore, an array of asteroids connected to each other, with scattered buildings made out of wreckage. It looks cool, but not as amazing as some other environments you’ve already encountered in the game. However, once you’ve played through most of the storyline, you’ll encounter The Dreaming City. This place is incredibly beautiful, and will amaze you with every corner you walk around! The animations of the new enemy race, the Scorn, look awesome! They swing around really nasty looking weapons, and lots and lots of fire, making them look really intimidating. The soundtrack is epic, and the voice acting is absolutely great. The Spider’s voice is a combination of a high-class sounding accent, and strange gurgling sounds, like his voice is directly translated from a gurgle-like language into English. 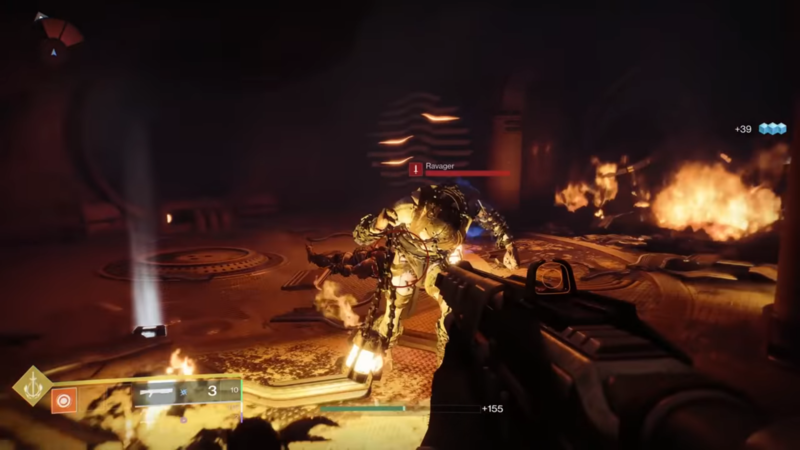 Destiny 2: forsaken is the newest expansion to the MMO first-person shooter RPG Destiny 2. Destiny offers a great story campaign, and Forsaken adds a great new story which will take many hours to complete. Next to that, the game offers PvP matches, co-op multiplayer missions to play, raids which require a dedicated fire-team and lots of communication, and last but not least: this expansion offers a whole new game mode which mixes PvP and PvE gameplay. The new storyline will take you about 8 to 12 hours to complete, and won’t just have you follow a singular line of quests, but often offers you a series of objectives which you can complete in the order you desire. Your character is on a personal quest to avenge the death of Cayde-6, and in order to do so you’ll need to befriend a shady character, work together with Petra Venj, and in the process you’ll uncover a whole lot of background of the Awoken. The campaign is fun and offers an interesting story, great new characters, and cool boss fights. 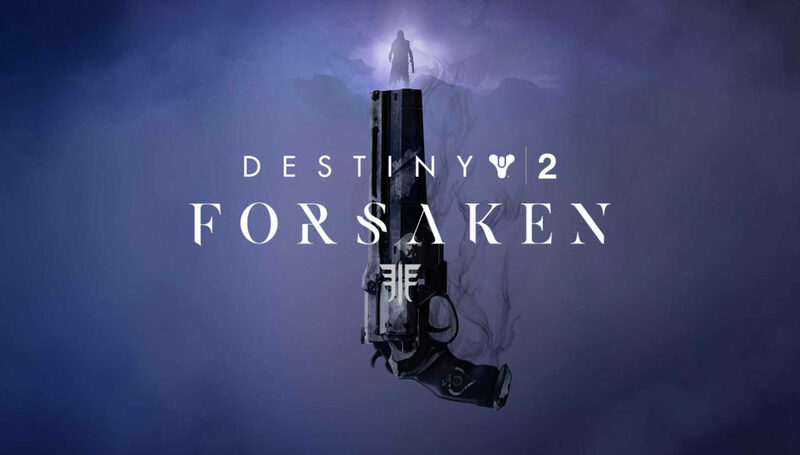 The update which was launched alongside Forsaken brings more freedom in weapon choice: sniper rifles, shotguns and fusion rifles are now used as either primary or secondary weapons. You’ll also be able to encounter rocket launchers as secondary weapons, instead of those being heavy weapons only. The expansion itself introduces a whole new type of weapon: a compound bow, which is an amazing weapon. It’s like having a sniper rifle as a primary weapon: headshots are entirely possible and do a serious amount of damage. And to top it all off: exploding arrows! Each subclass has a new specialization, with a new super. The new supers are really powerful, and feel refreshing. They come with awesome new animations, which makes them look epic as ever. The new super of the Stormcaller warlock is a giant beam of lightning spanning a great distance, and is absolutely amazing to use. Forsaken introduces a whole new enemy faction called the Scorn, which are undead risen Fallen. They look like brutal post-apocalyptic Sci-Fi zombies, swinging around medieval looking weaponry which is on fire, and will set anything ablaze that they hit, or where they fall down when killed. This means you’ll have to keep them at a distance and watch your step, or you’ll be set on fire when fighting these enemies, diminishing your health even further while being swarmed by hordes of Scorn. The new game-mode called Gambit is a fun and interesting combination of co-op team-play, PvE and PvP action. 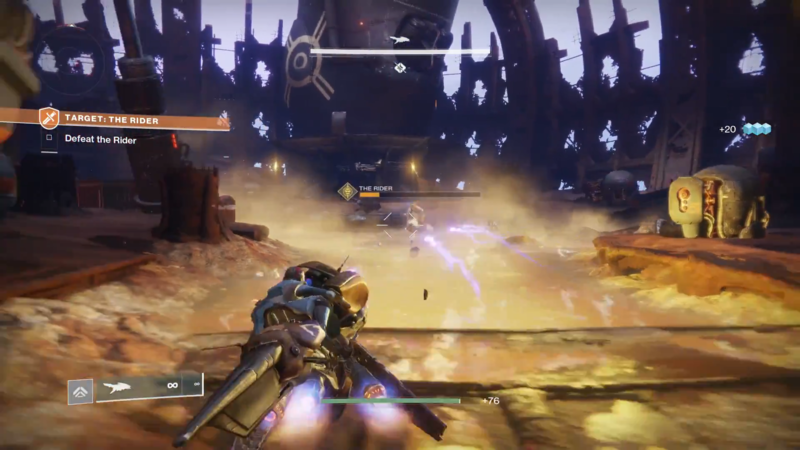 Two player teams fight against enemies in an arena, collecting motes and delivering them to a central point, where a huge boss gets summoned if enough motes are collected. The first team to kill the boss, wins. 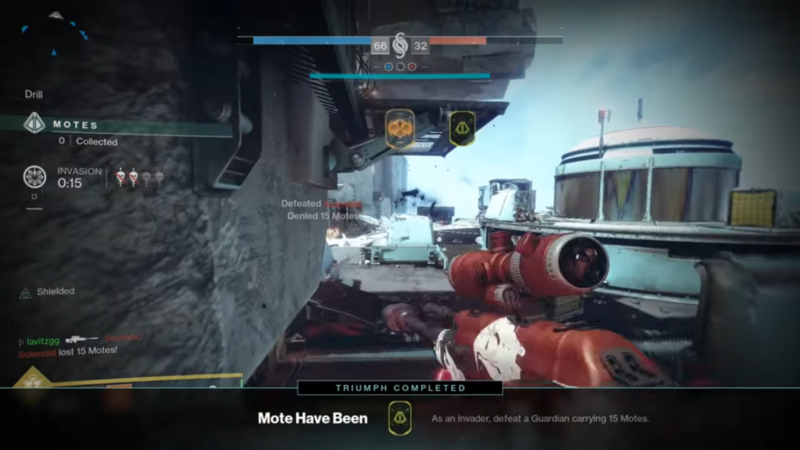 However, there are several competitive mechanics which makes this fight even more exciting: the enemy team is being blocked from banking motes as your team banks a lot at once. However; this does bring a great risk, because if a person carrying a lot of motes dies, all motes will be lost. Not only that, but every now and then you’ll also be able to invade the enemy team’s arena, and mess them up at risk to yourself and your team’s gathering speed. For the final raid ‘The Last Wish’, you don’t only need high power, you’ll also need to have great coordination with your fire-team. There are tons of enemies and powerful bosses, but also challenging puzzles you’ll need to complete to progress in the raid, which require a lot of communication to solve. You’ll need to gear up considerably to be able to take on the raid, which will take you quite some time playing end-game content after you’ve reached the end of the campaign. However, there’s a lot to do for max-level characters, and there are many ways to get your hands on better gear. Even after the final raid, the story goes on and game will still offer more in the form of new quests and a dungeon. Forsaken brings amazing new content to Destiny 2: a great storyline, a whole new and awesome game mode, new weapons, a challenging raid and great end-game content. The compound bow is a really cool weapon to play around with, and you’ll be having lots of fun trying to get those head-shots in with your primary weapon you’ll have lots of ammo for. The new environments look absolutely great, especially the Dreaming City, the new end-game hub. As a Destiny fan, you should seriously consider getting this expansion, as you’ll most likely love everything it has to offer!